While summer seems to be the best time of the year for delicious eats, food borne illnesses peak in the summer months. 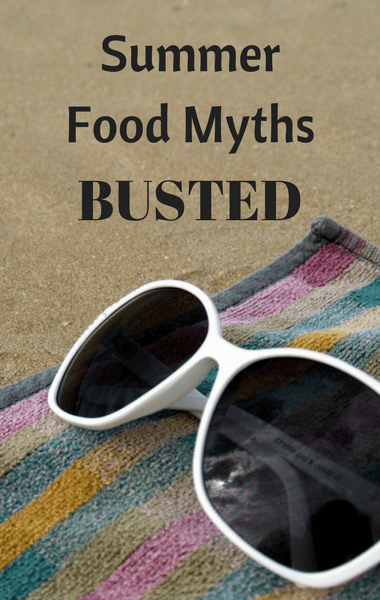 Before you take another bite, pay attention to some of the summer food myths Dr Oz wanted to bust, to help you understand whether certain foods are safe to eat. Dr Oz welcomed Brooke and her family, who set up a picnic right there on set complete wit their favorite summer foods. One of their go-to foods is potato salad. The most popular potato salad recipes use mayonnaise, and one of the myths out there is that mayonnaise breeds bacteria, causing food poisoning outbreaks. It turns out, a study was done looking at store-bought mayonnaise and the addition of vinegar and lemon juice prevents bacteria from growing because it’s acidic. Dr Oz explained that the problem isn’t actually the potato salad, but the germs people spread to the food from their hands. Therefor mayonnaise spreading bacteria and making people sick is a myth! That’ll the more reason to have everyone wash their hands.